One Inch Square has moved! 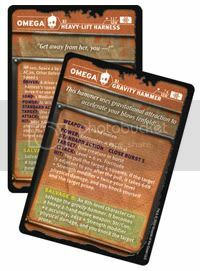 In Gamma World, the occasionally arduous task of doling out magic items to players is replaced by a simple draw from the Omega Tech deck. 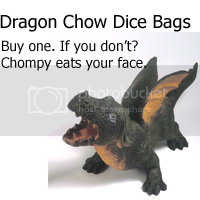 But as the DM, you might sometimes wish to set aside a specific item as treasure, either for thematic reasons, or because the item is particularly cool (or zany). If you're looking for an item that you intend PCs to keep for awhile, you'll want to choose something that has a salvage level. Not wanting to flip through my cards every time I want to set aside a salvageable item, however, I created this chart with all of the Omega Tech sorted by salvage level. Spoiler Alert: This chart contains information about all of the Omega Tech cards, including those found in expansions, booster packs and promo cards. If you are a player or DM who wants to preserve the mystery of the random deck, stop reading. The chart is sorted by the salvage level ("N/A" if the item can't be salvaged) and contains the name, equipment slot, and source (Ishtar, Area 52, or Xi) of the item. It also includes the rarity (Starter, eXpansion, Common, Uncommon, Rare, or Promo) of the card, the set the card comes from (Starter, Legion of Gold, Booster, or Promo), and the number of the card. For convenience, I have also made the chart available in PDF format.